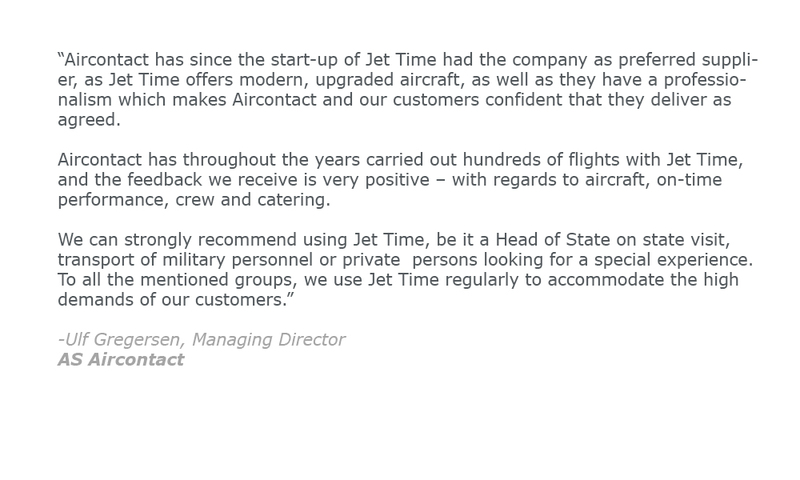 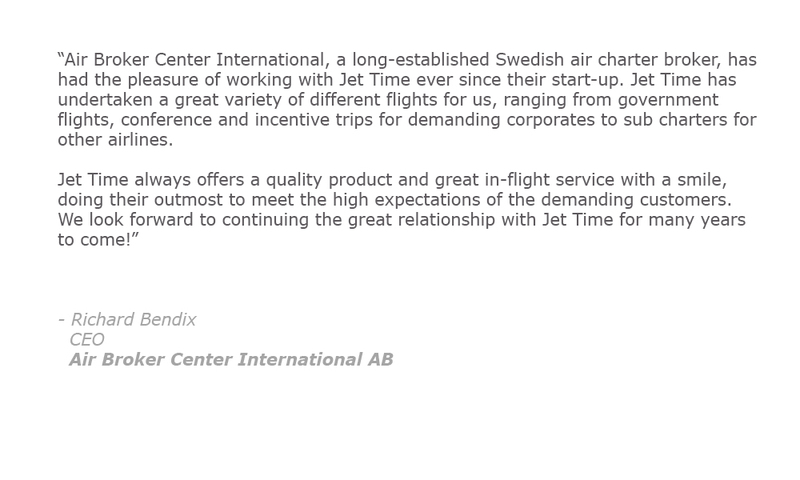 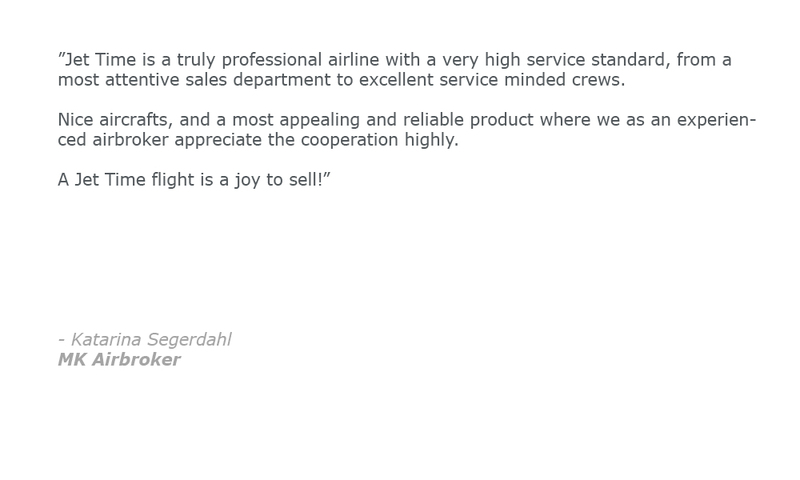 What do Jet Time's Ad Hoc customers say? 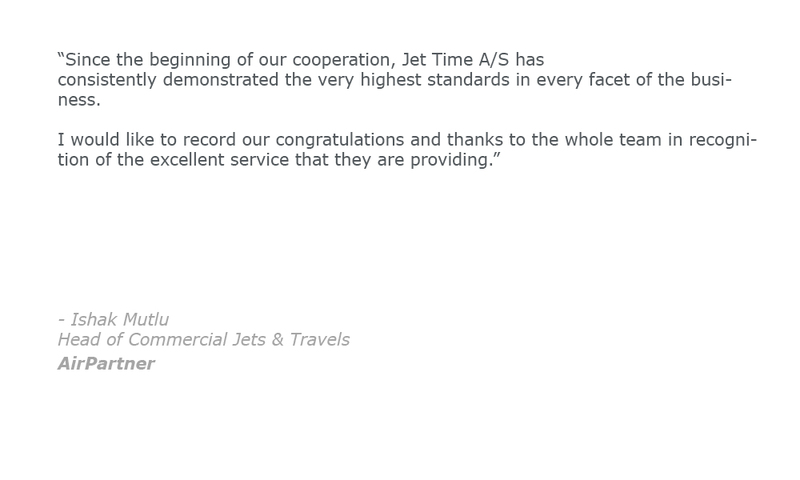 Jet Time flies for many different types of customers – with everything from football clubs and military personnel to car dealers and rock bands. 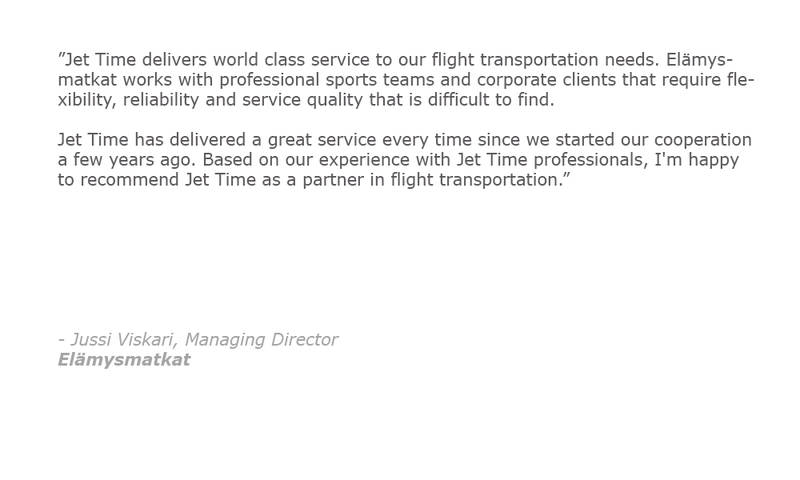 Most of these clients are booked through a broker, and Jet Time has many loyal collaborators. 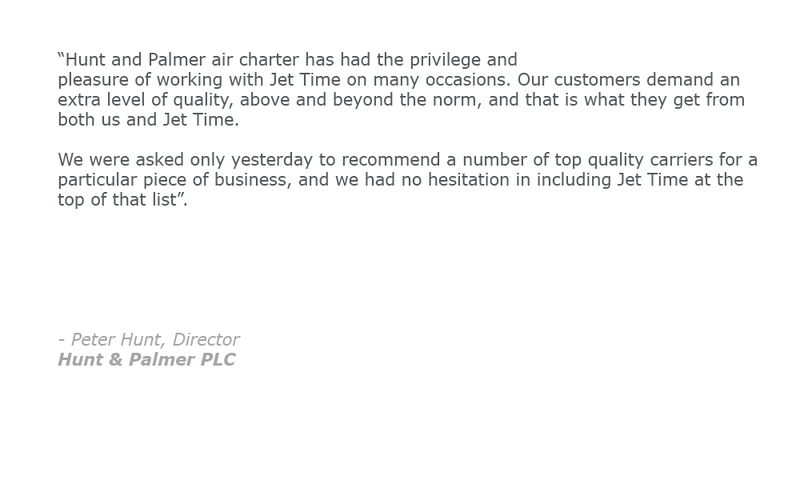 See below some of the brokers with whom Jet Time has cooperated for the past ten years.